The January transfer window is well underway in Europe, with a number of big names and clubs linked to one another as always. • U.S. international and Arsenal prospect Gedion Zelalem is reportedly nearing a move to Borussia Dortmund. Zelalem's contract with Arsenal expires this summer, and he has not been able to crack the first team under Arsene Wenger, save for some spot appearances in the last couple of years. 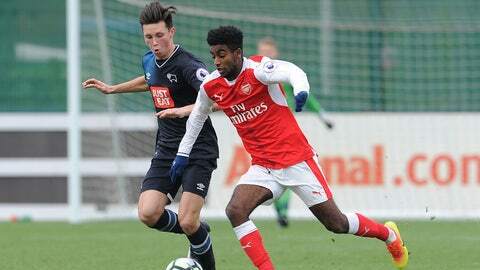 Zelalem, 19, was born in Germany and spent time in a pair of German academies prior to moving to the Washington, D.C., area. • Chelsea reportedly has a deal lined up for Swansea City's Fernando Llorente, but it must offload summer signing Michy Batshuayi in the other direction, and the Belgian reportedly prefers West Ham as a destination. Antonio Conte managed Llorente when the two were at Juventus. • Manchester City is reportedly not making overtures to sign Ivan Rakitic from Barcelona, despite speculation being fueled when the Croatian was left out of the club's draw with Villarreal over the weekend. • Mesut Ozil's future at Arsenal depends on Arsene Wenger remaining with the club. Ozil is fully devoted to Wenger, who signed him, and the manager's contract expires this summer. • Southampton's Jose Fonte will not play in the Saints' League Cup semifinal vs. Liverpool on Wednesday, fueling fire that he'll be off-loaded after handing in a transfer request. Manchester United is said to be interested. • Olivier Giroud is close to signing a new deal with Arsenal. He still has 18 months left on his current deal with the Gunners. • Bayer Leverkusen will reportedly look to sell Javier “Chicharito” Hernandez this summer, when he has a year remaining on his contract with the Bundesliga club. The Mexican forward hasn't followed up last season's consistent goal-scoring explosion, as he hasn't scored since Oct. 1 and has just five goals in 15 matches. He scored 17 in 28 league games a season ago. Leverkusen has not received any offers for him in this window and isn't likely to sell him in January, according to The Guardian. • Robert Lewandowski's agent says the Bayern Munich star has been the subject of a world-record €200 million transfer offer from an unnamed Chinese Super League club that would have paid him more than €40 million annually and made him the highest-paid player in the world. Lewandowski isn't interest in leaving Bayern, however, and is signed with the club through 2021. • Memphis Depay and Morgan Schneiderlin won't play for Manchester United during the January transfer window, as Jose Mourinho says he seeks the “right offer” for both players. He will allow both out-of-favor stars to leave Old Trafford. Ligue 1 contender Nice is reportedly interested in Depay, while West Brom and Everton have been the two most notable suitors for Schneiderlin. • West Ham has reportedly given up on signing Jermain Defoe from Sunderland during the January window after having a £6 million offer rejected. West Ham was said to have told Sunderland to name its price, but the relegation-threatened side will evidently hold on to its top scorer, as manager David Moyes says Defoe is not for sale. In another move, West Ham has also reportedly had a £3 million offer for Hull's Robert Snodgrass rejected.